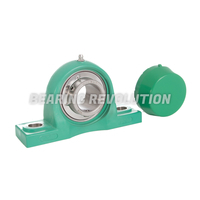 At Bearing Revolution we have a wide range of thermoplastic housed bearings in stock and ready for dispatch, - we stock all popular and hard to find thermoplastic housed bearings in our stock range of over 12.5 million bearing related products. 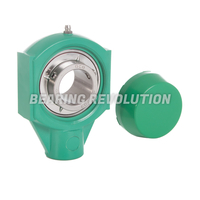 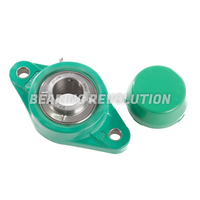 The Thermoplastic QCB housed bearing range (Select Range) is made with a solid base PBT thermoplastic housing which has an AISI 440 Stainless steel insert. 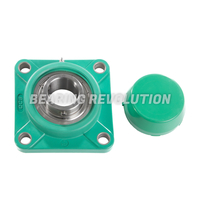 We also have both open and closed end caps, which will further prevent contaminant ingress. 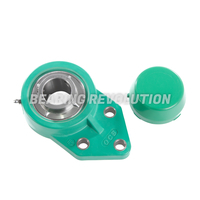 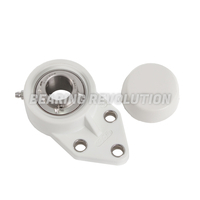 Used in applications where product contamination is forbidden, thermoplastic bearing units are available in a wide range of housing styles as shown below and with bore sizes 12mm to 50mm or .1/2” to 2” from stock. 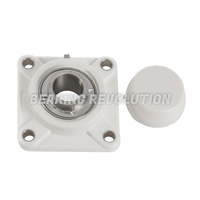 Although a majority of these thermoplastic bearing units will be green, we do also have many available in white and can supply a standard bearing insert instead of stainless steel where required. 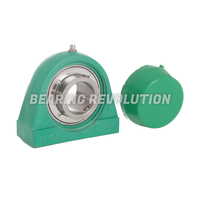 Thermoplastic-housed bearings are mainly used when contamination is strictly forbidden, the most common uses would be in any type of machinery that produces food or beverages or outdoor conveyor systems. 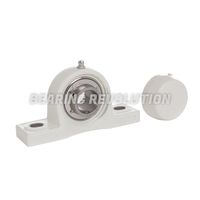 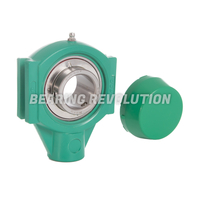 The thermoplastic housed bearings are ideal where wash down is required. 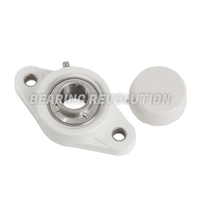 The Bearing Revolution team understand that there is wide choice of thermoplastic housed bearings and choosing the wrong one can take up precious time, so if you are unsure on which product to purchase you can call us on 01952 222100 and we would be glad to help guiding you to purchase the correct thermoplastic housed bearings.